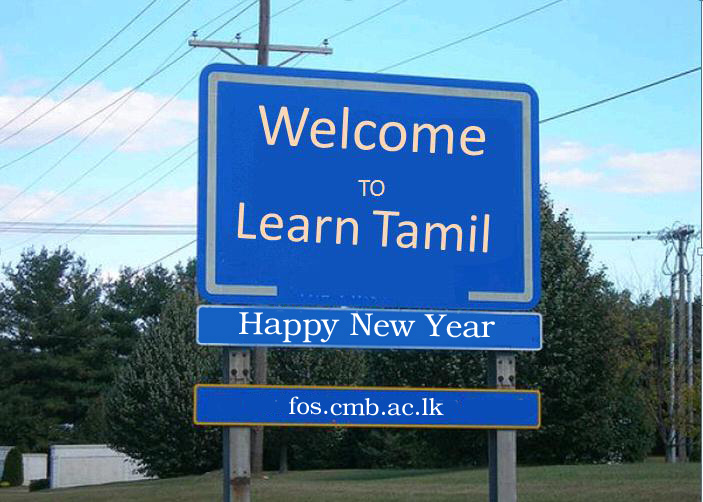 Tamil… which is known as the oldest language of the world, and spoken by more than 70 million people all over the world including India, Sri Lanka, Malaysia and Singapore. 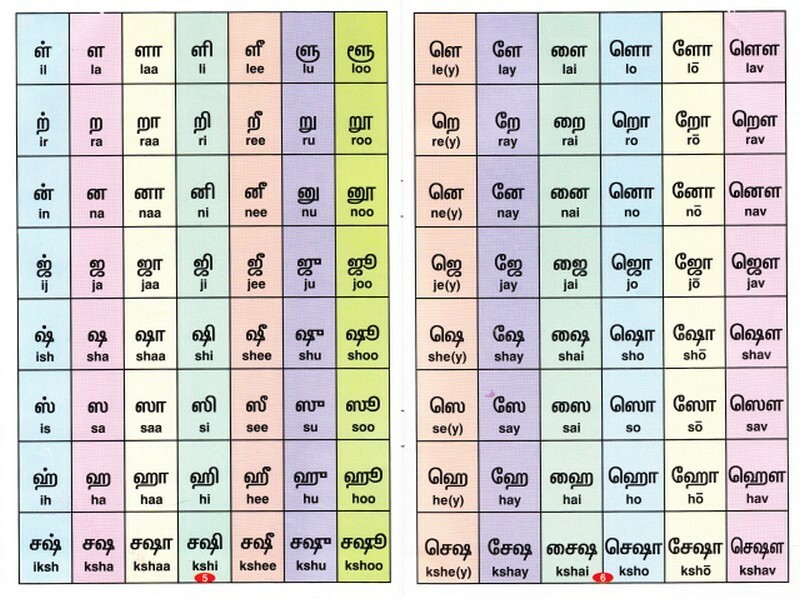 It is very easy to study Tamil to those who speak Sinhala and other Indian Sub-continent languages as Tamil and other languages of this region are co-existing till now. 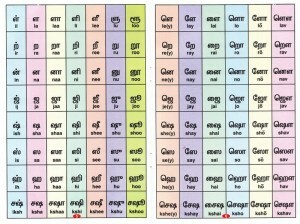 First of all, we’re going to study Tamil alphabet! There are 247 letters in Tamil language! How long it would take to study these 247 letters? We just want to know only 31 letters! ழ் = between ய்(y) and ள்(l), sounds like lea in pleasure. 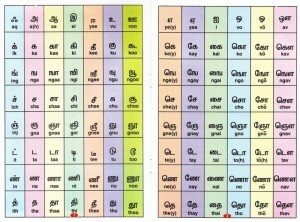 Note that Tamil consonant letter ழ் is also an unique letter of Tamil which letter’s pronunciation is not in any world languages other than Malayalam. It sounds between “la” and “ya”. For Romanized writing purposes ழ is written as “zha” or “za”. So, remember, whenever we read or study Tamil in Romanized text, “zh”or “za” are always referred to “ழ”. Don’t be confused with the common pronunciation of Z.
then how it would be 247 letters? Yes! Body and Soul are accompanied together and make every living being! 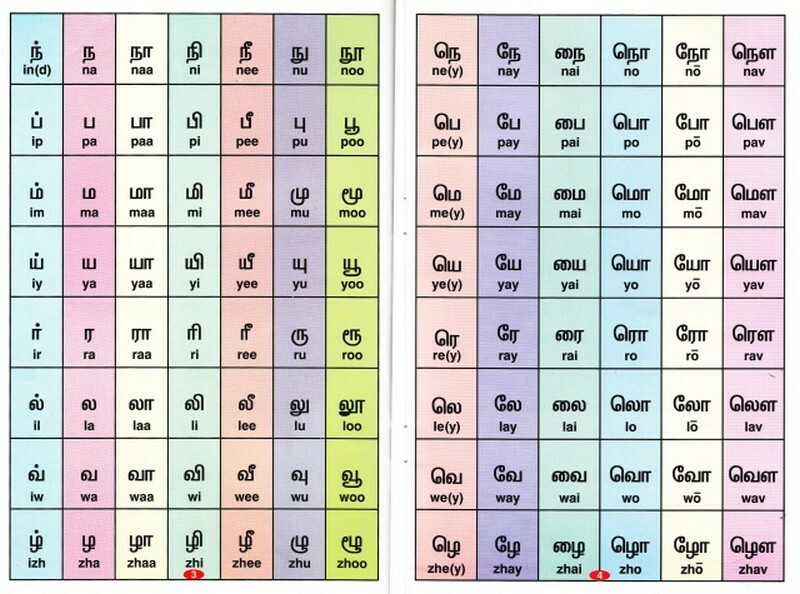 Like that Vowels and consonants accompany together and create “combined letters” – உயிர் மெய் எழுத்து – Uyir mei ezhuththu! 18*12 = 216 combined letters. Thus, totally 12 + 18 + 1 + 216 = 247 letters! It is very easy to remember the letters when we can memorize them through counting! Isn’t it? The problem is not ended up here. 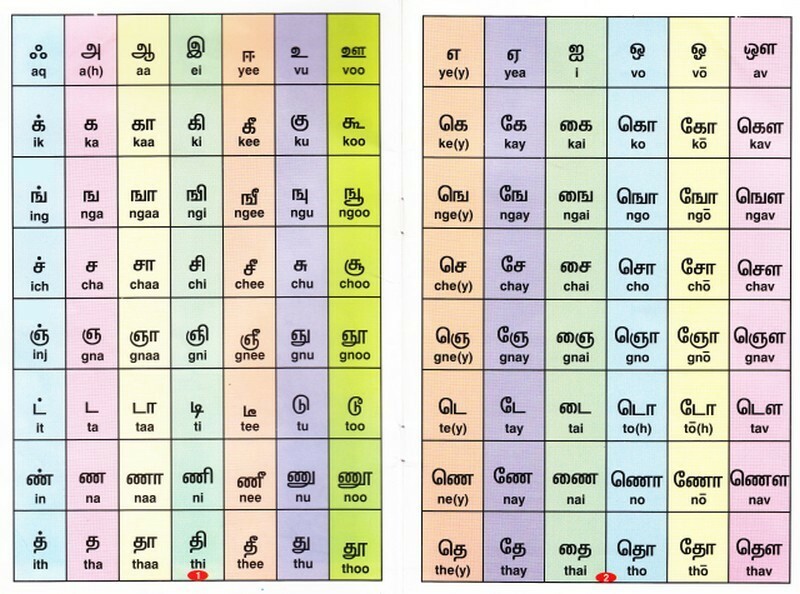 There are another 6 letters known as “கிரந்த எழுத்து – kirantha ezhuththu (Grantha letter)” apart from Tamil alphabet, also used in Tamil language. 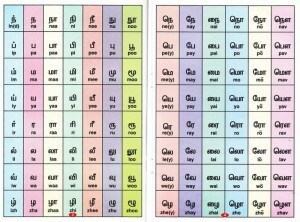 Excluding ஸ்ரீ, other 5 Grantha consonants also create combined letters of their own and they rarely used here whenever translating other languages into Tamil script. ඔබ ගැටලු සාගරයක අතරමන් වෙලාද ?